The Ford Ranger pickup truck has continued its success in Asia Pacific in 2018 with record sales through the first six months, increasing almost 9 percent year-over-year to 69,103 vehicles. Ranger’s best-ever first-half performance across the region was supported by record sales in Australia, New Zealand, the Philippines, Taiwan, and Thailand. 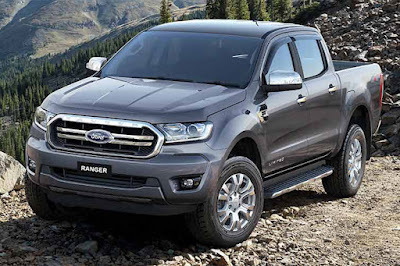 For the third year in a row, Ranger remained the best-selling vehicle overall in New Zealand, as well as remaining the best-selling pickup truck in Taiwan and Vietnam. It also continued with impressive share gains in Thailand’s pickup dominated industry. “Ranger remains one of our flagship nameplates across Asia Pacific, and its continuing success is being earned through unmatched versatility and capability that drives extraordinarily wide customer appeal,” said Gordon Short, General Manager, Truck and Van, Ford Asia Pacific. Thailand is Ford’s best-selling Ranger market globally. Record first-half sales increased 36 percent from the prior year to 27,455 vehicles, driving market share up 1.5 percentage points to 13.2 percent. Australia delivered record first-half Ranger sales that rose 2.2 percent to 22,105 vehicles, helping it remain one of the best-selling 4x4 vehicles in the country in 2018. Ranger continues to lead the pickup truck segment in Vietnam for the fifth consecutive year, capturing nearly 50 percent of the segment. In the Philippines, first-half Ranger sales increased by 19 percent to a record 5,470 vehicles, capturing nearly 23 percent of the segment. “The Ranger continues to define the pick-up segment for customers around the country, and drive our overall performance in the Philippines this year,” said Bertrand Lessard, managing director, Ford Philippines. In New Zealand, the Ranger continues to be the country’s overall best-selling vehicle. During the first half of 2018, Ranger had record sales of 5,160 vehicles, over 1,200 more than its nearest competitor, and secured a 26 percent share of the pickup truck segment. Ranger has been the best-selling overall vehicle for three years in a row and best-selling pickup in New Zealand for the last four years. In Taiwan, Ranger maintained its leadership of the pickup segment with a dominant 63 percent share of first-half sales that rose more than 30 percent from a year ago. Just last month, the Ford Ranger made its debut in China where it will meet the growing demand for tough, stylish and refined pickup trucks among customers increasingly looking to explore lifestyle and leisure opportunities. Ford has begun rolling out the revised 2019 Ranger to markets across Asia Pacific. Its Philippine launch is expected during the second half of the year, building on its reputation as the pickup truck of choice. Additionally, Ford recently kicked off production for the first-ever Ranger Raptor at its Ford Thailand Manufacturing facility for export across the region. The highly anticipated factory-built performance truck will be available for purchase beginning in August in Thailand and later this year in other markets.